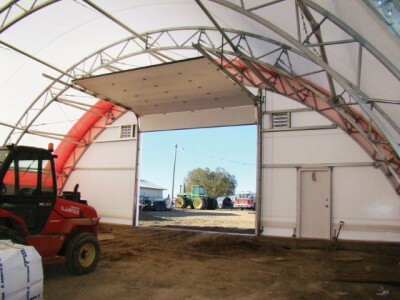 With 9 years of experience installing tension fabric buildings from Norseman, we can provide complete building construction. Insured & bonded for your protection, you can count on us to handle any job quickly, efficiently, and professionally. 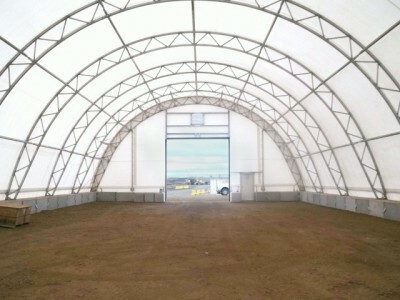 Time and the environment will eventually take its toll on a fabric structure. Not ready to upgrade to a new fabric building? We offer replacement covers installation and building repairs. As an authorized dealer/builder of Norseman Structures, we can provide extensive product and industry expertise. Every structure is covered by a Limited Warranty . What are Norseman Structures buildings made of? They are constructed using either a heavy duty galvanized or hot dipped structural steel framework with a high performance, durable polyethylene cover. How do fabric covered buildings differ from traditional steel or wood buildings? 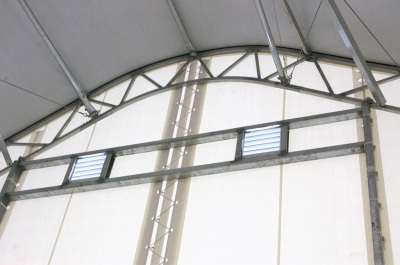 There are many benefits of a fabric building over a traditional wood or steel structure. The translucent fabric cover plus the reflection from the white interior of the fabric increases the natural light within the building. The benefits don’t end there, from energy savings to low maintenance, a fabric building are designed to be permanent, but can be quickly disassembled and relocated. Do Norseman Structures buildings comply with local building codes? YES!!! Is it possible to customize my building? YES! We will work with you to design the perfect building to suit your needs. Based on steel requirements and manufacturing techniques for individual product lines, Norseman Structures uses two different galvanizing processes; In-Line and Hot-Dipped. Steel clad end-walls provide a durable wall solution while the 12oz high performance PE fabric end-wall option is cost effective and allows greater light into the building. 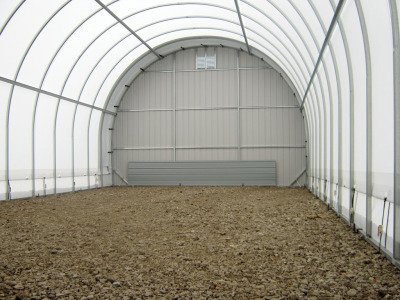 Ground mountable buildings are designed to sit on a flat surface. This is often a more economical approach if the requirement for high foundations and more clearance is not needed. Buildings designed for ground mounting can be placed on a concrete slab or asphalt pad and in certain situations, can be anchored directly to the ground, without any formal foundation, using only earth anchors. 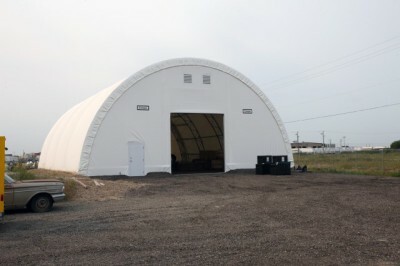 The covers used on buildings are manufactured from 12 oz/yd², 23mil thick polyethylene fabric. This fabric is created using a layer of woven tapes (scrim) and is then coated with a specialized, 4 mil thick protective layer that helps protect against UV damage and scufﬁng. If natural light is not desired, blackout fabric is also available.